Lemuria - The Buried Truth is a tale of the ancient land known as Lemuria written by the bestselling author Tiffany Wardle. She has become a Lemurian expert and teacher and is already a bestselling author in this field. This book has been well-researched for three years across the globe. This book is a narrative of love, war and psychic power. The numerous characters depicted each have their own unique spiritual gift. Every Lemurian encountered in the story has their own individual message describing where they were when the war began and the great continent fell. You can find in this book a unique catalogue of events from both Lemuria and Atlantis. 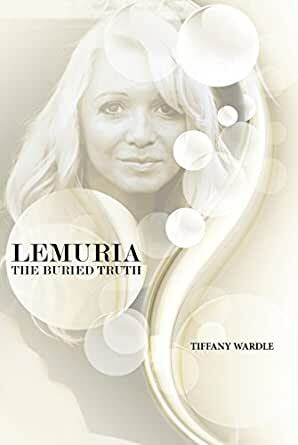 Lemuria - The Buried Truth recites the history from the mouths of the Lemurians and the Atlanteans themselves. The narration explains that of the fall of Lemuria and the bloody war with Atlantis. There are many facts already written about the continent Lemuria; it is rumoured that Lemuria is now buried deep within the Pacific Ocean. Many believe that the peaceful beings known as Lemurians were far too loving and trusting for the modern, egotistic, warring society of today which explains the extinction of these ethereal beings. This emotional account describes the Lemurians overwhelming love for their homeland and how the people of Lemuria were prepared to die for their country. This factual account is weaved with emotion as you get to know each character, their individual magical power and their love for Lemuria. The question is - what do you believe? Tiffany Wardle is a psychic and a published author from the United Kingdom. With 4 best selling spiritual books under her belt, Tiffany is known by many as a spiritual teacher. Tiffany's story is an inspiration to her readers. After a turbulent time in her life, Tiffany turned to Reiki as a way of self healing after a period of financial loss, relationship break down and Ill health. Tiffany went to Mount Kurama in Japan where Reiki was first discovered. Tiffany was never the same again. Tiffany Wardle became very psychically aware on this trip and soon became a TV Psychic and travelled across the world to see numerous clients, from Royalty to people like you and me. Tiffany channelled her latest book while travelling in California, Arizona, Colarado and The United Kingdom. Tiffany's passions include spiritual teaching, healing and research of Atlantis and Lemuria.